No matter the amount, you can partner with us in bringing this inspiring story to life. We’re in the final stretch. The film has been shot. Veterans and civilians alike have been interviewed. But we still need $10,000 per month for the next three months to pay our editor and finish everything by the end of May. Can you help us meet this month’s goal? All donations are tax deductible. We also have corporate sponsorships available! Contact us for more info. When we set out to create this film we estimated it would take $300,000. Of that goal, we have raised $45,959.50 and our producers have covered everything they could. Volunteers and budget cuts have helped us make due, but we have reached the end of our resources. Without the last $10,000/mo we may not finish our film in time for the 75th Anniversary D-Day and we’ll miss deadlines for submitting to important film festivals that will give us much-needed visibility. Thank you to everyone who has volunteered and donated already. We can’t do this without you! This is not your conventional love story, but a love story nonetheless, one that has lasted for over 70 years between a city that had lived under oppressive occupation and a nation that came to rescue them. In the first chapter of this documentary series, we follow the German occupation of Normandy and the liberation of the French people, told through stories of the French who lived through this turbulent time and still speak of a love affair that bonds generations of Free French to their American liberators to this day. 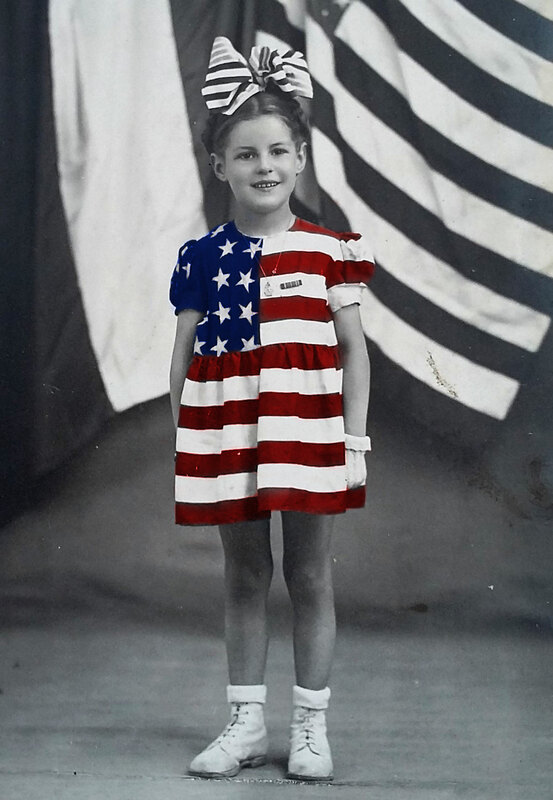 One little girl’s story exemplifies how the French saw – and still remember – the bravery and heroism of the American GIs and demonstrates why the United States has always taken part in protecting and liberating any who are oppressed. Her name is Dany Patrix, The Girl Who Wore Freedom, and she is the thread that weaves us throughout this story.